Is Costilla County, Colorado Banning Off-Grid Living? There is a battle brewing in Costilla County, Colorado. “It’s something we’ve reported on many times in the past – government agencies trying to regulate Off-Grid living out of existence. Throughout the country, local zoning officials have made it impossible for people to go off the grid, in many cases even threatening them with jail time for not hooking into local utilities. 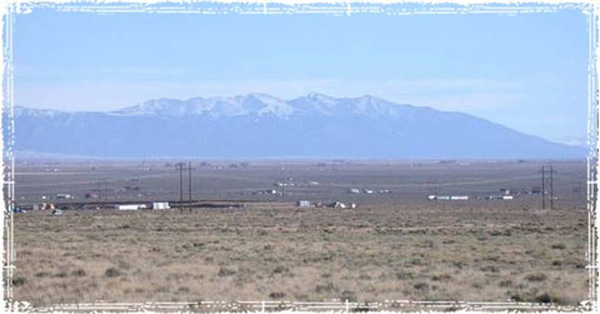 During the last couple of years, Costilla County, Colorado has seen a huge influx in people moving into the San Luis Valley – most of who have moved there to live off the grid. A combination of cheap land, lax zoning regulations, and a community of self-reliant individuals has brought in a large number of off-grid homesteaders into the area. But that life-style is now being threatened as government officials move to make it illegal — something that is becoming a real problem for those who are looking to buy rural land. Off Grid Living Now Illegal! The politicians behind this fiasco need to be kicked out of office immediately, maybe even with a recall election. It’s highly likely their stupidity will bring an end to their short, ill-fated careers. They might have been able to get away with this in a more affluent county, but Costilla county is not exactly a ski resort type of place. Almost certainly the number of blue collar workers/average Americans there far outnumber the wealthy. Fact check on Wiki: “The per capita income for the county was $10,748. About 21.30% of families and 26.80% of the population were below the poverty line.” The population is about 3,500 so obviously there’s only a handful of people who make sizable incomes. What a joke – the Costilla county website says “As Colorado’s first county, we strive to be first in service.” [as long as you make over $200,000/year and go along with whatever we say]. Kick these bums out of office NOW! and send a message loud and clear to other counties who may try something similar. Also be sure to read the comments below the article to learn more about what’s going on there and get ideas on how to put an end to this madness. Jan. 8, 2016 update to this story: How the Real Patriots Dropped the Ball with Costilla County, Colorado. According to Alex Ansary’s YouTube channel, it seems the situation is unresolved and many landowners are being evicted from their land under threat of arrest. Interesting side note – in this video Alex Ansary says he wants to build an earthbag house on low cost land in the area. He had his heart set on building in Costilla county, but due to the recent problems there he’s unsure of where to move. This story at The Daily Matrix says Costilla county has backed down on requiring water, septic systems and electricity for building permits. However, the problem of obtaining camping permits on your own land is still unresolved. The previous source mentioned above (Alex Ansary) said the Land Use office is closed and is not responding to calls. This leaves people in the lurch since they’re not able to determine what’s going on. A possible solution might be to transition from completely off grid to partially off grid. The so called grid does actually provide many benefits like electricity, sewage treatment and of course sanitation not to mention the economic benefits of having electricity. I think that mistake some make is insisting to be allowed to do anything they want whenever they want if they own the land. Truth is if you don’t pay your property taxes you won’t own your land very long and trust me that if the greedy can’t find any way to legislate you to get on the grid they’ll simply keep raising your property taxes until they can take your property one way or another. So bite the bullet, get connected and use the grid as little as possible instead of continually poking the bear in the eye at every turn. I think that the goal should be resiliency rather than to be “off grid”. Sometimes being on the grid can bring more resiliency, such as making it possible to use the grid as a tool with a grid-tied PV system where excess electricity is fed back into the grid and then borrowed back at night or in cloudy weather. Here’s an excellent video that sums up what’s going on: The State’s War on Sustainable Communities. Most readers have moved on to other articles so I’ll write this now. Search for the following video if you don’t mind a lot of profanity. It’s quite funny actually. Here’s the story about the police raid of the Garden of Eden mentioned in the above video. Adrian,No matter where you would choose to live.Google earth and even building code cops with airplanes can make your life hell. This thing about needing a permit to camp on your own property is about as asinine as it gets. I see this on county web sites for Arizona also. They’re all in it together. They want builders to build, banks to lend, and consumers to consume but never own so the cash continues to roll in. Some townships even charge inspection fees for alarm installs and fines for those same alarms if mis-triggered. Colorado is no longer citizen-friendly. NASA is moving back into cheyenne mountain because it safe from EMP danger to the national grid. People from this and similar websites should think about forming a co-op, write up a little notarized constitution to cover how to arbitrate any disputes, and look to buy a ghost town or a tract along old Route 66 or “undesirable acreage” in Arizona (outside Winslow is affordable) or New Mexico , Oklahoma, or the more “worthless” lands in West Texas, while looking carefully at the county government’s current land policies where they want to settle. The co-op should elect their own mayor and city council and pass their own permissive building codes (if only to regulate house density and shared well-drilling and allocation of water) , and then build QUICKLY so as to grandfather their houses if the county decides to “regulate” them. It would help to have a lawyer or retired lawyer in the co-op to be able to deal with any potential regulatory “interference” and you could pay this lawyer “in kind” with his own house plot, or communal help building a “guest house” where the lawyer could come for “free” vacations — which is good,because he would come to care on a personal level for the little off-grid, green-built community. Excellent suggestions. Thanks for contributing. Maybe I’ll use this for a blog post. Like I said, this topic has always been the hottest topic on our blog. And since we’re number 2 on Google (after Wiki), obviously lots of people are very interested in learning more about codes and affordable land for their sustainable homes. Cities are not affordable in most cases and have too many regulations for this sort of thing. So people are left trying to figure out where to build. I wonder if there are any ecovillages that have already applied your ideas? Sorry, I didn’t realize this was a political website, could you remove me from the list? I was more looking for interesting, sustainable housing options for people who do not have a lot of money or resources. Thanks so much anyway. 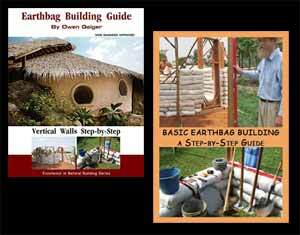 This is a topic that concerns all natural builders and everyone trying to live simple, off-grid lifestyles. Code issues and where to find land with minimal gov interference have always been the #1 most popular topic on our blog. Like I said above, what’s happening in Costilla county is starting to happen elsewhere. By drawing attention to this issue we’ll be more informed and hopefully better able to work together to stop these unjust actions. Obviously you don’t have to read this article or any other article if you don’t want to. All these unlawful statutes need no compliance by so-called legislators. Simply becuase men in suits write stuff on paper does not bind you to their written words. Were you a party to the agreement (whatever zoning BS someone wrote on a piece of paper)? By what contract are you bound to abide to their dictates? Answer – there is none, unless you agree to be bound to their “juris-diction.” Don’t argue – use their own language (legalese) against them. Use conditional acceptances and negative averments to deflect their unlawful statutes. Educate yourself in who you are – free sovereign beings – and who they are – agents of a fictional construct. It’s all about commerce. Become a creditor, and you will “stand” above these debtor agents who provoke you with words on paper that mean nothing to the freeman! True, but they have the guns, can take you off to jail and bulldoze your house. Most people choose to move on and start over. american dream in another part of d world. Targeting the Amish, at least at this time, might cause a big political backlash. Not sure. It’s easier to harass poor people. Areas with Amish become touristy attractions for city folk that wanna go see the past, like civil/revolutionary war reenactments, but off-gridders create a money losing situation for towns. How can mayors and congressmen line their pockets with power company monopoly pay-offs if nobody in their constituency uses the utilities? Also, the Amish are quite successful at running businesses that provide jobs and goods. This story is very weird. According to one of the videos by Alex Ansary that I linked, there’s a rich investor who is buying hundreds of thousands of acres in Costilla county and he’s giving half to the government! So something big is going on.